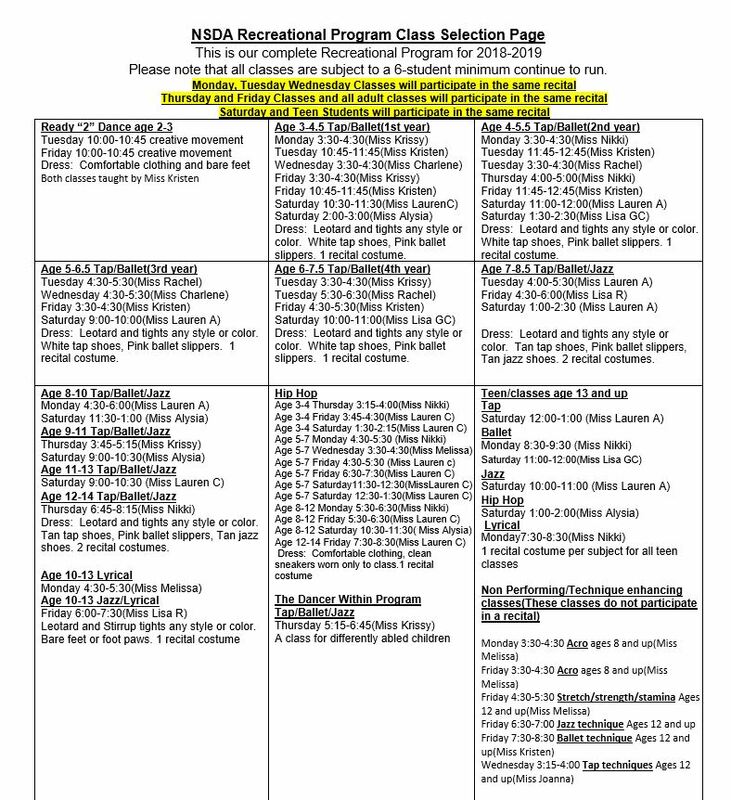 Listed below is the 2018-2019 recreational program. All classes are subject to a 6 student minimum. Please make your selection based on your child’s age.